Join us to hear Sriram Iyengar, Associate Professor of Biomedical Informatics at Texas A and M University, Houston present this topical and interesting lecture. The World Health Organisation defines Equity as “the absence of avoidable or remediable differences among groups of people, whether those groups are defined socially, economically, demographically, or geographically”. In both developed and undeveloped countries different groups may receive vastly different care, resulting in health inequity, also known as health disparity. The talk will also delineate the role of Persuasive Technology (Behavior Change Support Systems) as a conceptual framework for designing effective smartphone-based systems to address health inequity. 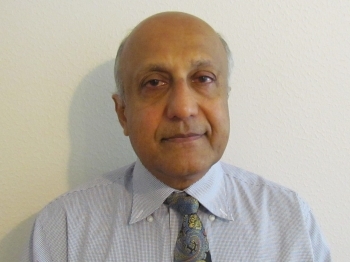 Sriram joined the faculty at Texas A&M Health Science Center in March 2015. Prior to that he held positions at NASA and the University of Texas, Houston, and senior executive positions at technology companies in Silicon Valley. He is the author or co-author of 30 peer-reviewed publications in journals and more than 40 peer-reviewed presentations conferences. He edited a textbook “Symbolic Systems Biology”, and wrote “The Science of Computing”. Sriram has received several awards for teaching excellence as well as an award. from NASA for software innovation. In 2014 he received the University of Texas System Regents Outstanding Teacher Award given annually to selected teachers from over 17,000 faculty across the 14 campuses of the University of Texas system. Sriram’s research interests include mobile health, clinical informatics, Persuasive Technology, clinical decision making, algorithmic medicine (medical guidelines and other computational techniques to support healthcare delivery and decision-making), and systems biology. He has a BTech degree in Electrical Engineering from the Indian Institute of Technology, Madras, MSc (Electrical Communications Engg) from The Indian Inst. of Science, MS (Statistics) and PhD (Computer Science) degrees from The Ohio State University. While at NASA Sriram created a mobile system to support astronaut health on long duration missions. This technology has been studied in terrestrial care to address health disparities in the US and developing countries to provide frontline health workers and patients, with media-rich point-of-care decision and treatment clinical practice guidelines presented on smartphone/tablets. Projects based on this technology have been successfully completed in Colombia, South India and by the US Army. Projects have received awards from Microsoft Research (2008-2009),Vodafone Wireless innovation Competition (2012), and ISIF Asia. Sriram’s work in mobile health is based upon the principles of Persuasive Technology and Felder-Silverman Learning theory. Sriram’s latest research project, funded by the US National Institute of mental Health, explores the uses of mHealth to identify those at risk for suicide and depression in Pacific Island Countries. In addition, Sriram is a co-founder of the Medical Algorithms Project.